SofasandSectionals.com gives customers a great new shopping tool to help them find the perfect furniture for their living space. Informative product videos are now available with select Jaymar sectionals and sofa groups. These videos are designed to demonstrate the innovative features and design of popular Jaymar products. 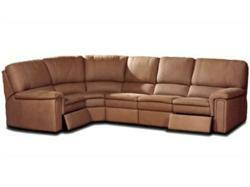 Many products, like the Jaymar 32100 Sectional shown here, include product videos to show features like power recline. SofasandSectionals.com, one of the leading e-commerce destinations for high quality living room furniture such as recliners, loveseats and sectional sofas, is excited to announce a great new way for customers to find their ideal living room furniture. For the first time, select Jaymar sofa groups and sectionals will include product videos that clearly demonstrate their finest features. This gives their customers extra information about products that they wish to buy and can even help them make the best choice for new furniture. According to MediaPost, a leading content and publishing solution for online businesses, reports that e-commerce websites that include product videos see an 800% increase in views of those products. This is because customers can get information from a video that they can’t from a still image or text. For example, if a customer is looking at reclining loveseats, those with videos will show the actual recline mechanism in action. This may be an important feature to customers, especially if they are interested in features like power recline, hidden storage spaces or Wall Hugger design (a feature where seats can fully recline even when placed within inches of a wall). “We have seen a huge increase in the demand for product videos on SofasAndSectionals.com, and we are more than happy to oblige”, said Bill Lorden, Director of Sales for SofasAndSectionals.com. Lorden went on to say, “Our customers love the product videos, and many of them report that the videos helped sway their buying decisions”. Every video is 30 to 60 seconds long and features a model who demonstrates the product’s special features. She also talks about intangible qualities of each product such as comfort systems, design and warranty information. Anyone who visits SofasAndSectionals.com can access these videos. They just need to look for the little Camera icon inside product listings in the category view, or press the “Product Video” button once inside the actual product page. Videos are also available on Sofas And Sectional's Youtube Channel. Jaymar offers high quality craftsmanship and materials with cool modern design and innovative comfort technology in their products. Many of their sofa and sectional groups have a space saving design for apartments or lofts. 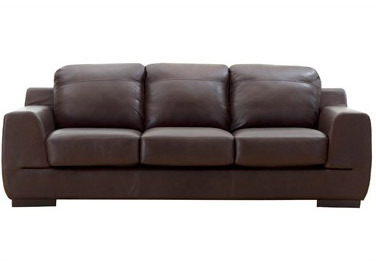 All Jaymar leather sofas, loveseats and sectionals are made with 100% Top Grain Leather. 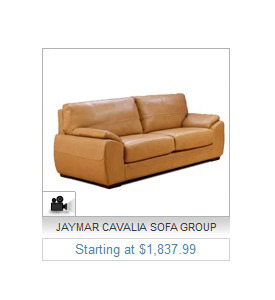 Only the most popular Jaymar products carry videos, including the Brasilia, Cavalia and Studio sofa groups. The very popular 32100 reclining sectional sofa also has a product video. About SofasandSectionals.com – SofasandSectionals.com is part of InteriorMark, LLC, who is one of the top internet retailers of quality furniture like upholstered seating solutions, home theater products, tv stands and entertainment armoires, beds with matching casegoods and office collections. InteriorMark, LLC specializes in providing furniture by many leading manufacturers for home, office or recreational use. InteriorMark, LLC is a member of the National Home Furnishing Association, and a long-standing member of the Better Business Bureau. Viewers can watch product videos for select Jaymar products by clicking the camera icon in the product thumbnail on SofasAndSectionals.com. Many Jaymar products, like the Studio Sofa shown here, include product videos that display the product's best features.